The buzz around wearable technology in construction continues into 2017 as people make predictions about its growth and potential to disrupt the industry. According to CCS Insight’s global forecast, 250 million smart wearables are predicted to be in use by 2018 and shipments of smart wearables are expected to reach 501 million by 2021. The construction industry has always seen the potential of wearable technology to improve safety and increase productivity. However, the difficulty of implementation posed a challenge that affected adoption by the construction industry. Suppliers of wearable technology have responded to this barrier and are now trying to make construction wearables feasible for any construction company. To do so, suppliers of wearable technology must ensure that the equipment is affordable, easily transferrable from worker to worker, and user-friendly. As suppliers continue to improve their products to fit the needs of the construction industry, widespread adoption by the construction industry is expected to grow exponentially. Construction helmets are safety necessities that have been around since construction’s beginning. However, they traditionally have only been able to serve the purpose of physical protection from impact. DAQRI, a California-based technology company, is capitalizing on the necessity of the construction helmets by making them even more capable. 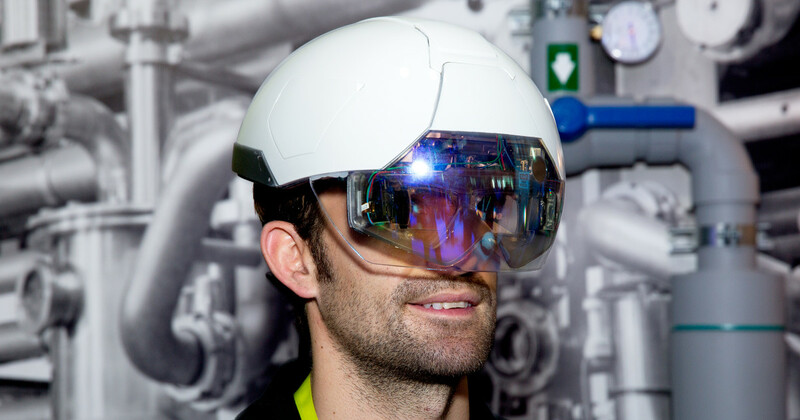 DAQRI is making “smart helmets” that are capable of displaying the employee’s work instructions in front of his eyes and allowing the workers to visualize their task within the construct of the entire project. These helmets can also record real-time video that can be shared with other workers for an explanation of issues, suggestions, and easier communication. Smart-helmets also can improve safety by alerting all parties should it detect an impact from a fall. The construction vest is another common construction accessory that any construction worker should not be caught without. Technology companies, such as Redpoint, are beginning to infuse new technology into the already vital piece of clothing. These smart vests are can use GPS to track each worker and include an emergency button that will send an alert to all other parties for immediate safety responses. The GPS capabilities of these vests can also help to improve productivity by identifying project delays and inefficiencies. These smart vests are also able to measure the worker’s biometrics, including their heart rate and stress levels. If the vest suspects that the worker’s biometrics are at an unsafe level, it will alert the worker as well as other parties. Aside from biometrics, these smart vests are also capable of measuring the safety of the environment around it. This means that if a worker is entering a potentially dangerous zone, the vest will alert them to evacuate or to proceed with caution. Smart glasses include a video camera that relays real-time information from the field to off-site professionals. The professionals can react to the occurrences of the job-site in real-time and explain to the on-site worker how to proceed. This will significantly improve training and combat the skilled worker shortage by allowing professionals to share advice and give instruction to the less-skilled workers. These glasses can also be used to communicate with decision makers who may be off-site such as the subcontractor or a project manager. This instantaneous communication will lead to faster decisions, improved safety, and fewer mistakes and rework. As a kid did you ever wish you had super-strength? Bionic exoskeleton suits are making this seem possible. These suits can increase the amount of weight you can lift while protecting from muscle strain. This is important for the construction industry given the incredibly high number of work-related injuries the construction force suffers from due to heavy lifting. According to the Bureau of Labor Statistics, over a million construction workers suffer from back injuries every year. These bionic suits have the ability to mitigate construction-related injuries, which is a major national concern. 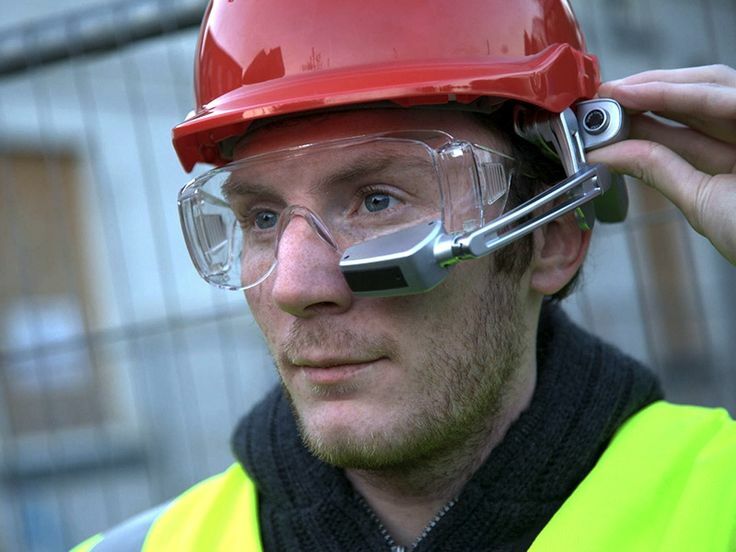 What does wearable technology mean for the construction industry? Wearable technology is going to impact the construction industry in a number of ways. The big two include safety and productivity. Safety has continued to be a problem in the construction industry with little improvement over the past 50 years. In fact, construction job-site injuries make up almost 20% of work-related injuries across all industries. With construction wearable’s ability to monitor and report biometrics and dangerous environmental conditions there will be more immediate responses to safety issues. Wearable technology will also increase productivity in construction by allowing each worker to have the most accurate and detailed information at their fingertips at all times. According to Rackspace, wearable technology in the construction industry can increase productivity by 8.5%. Wearable technology allows all team-members to be in constant communication and eliminates any information discrepancies between team members. Posted in Construction Software, Technology.